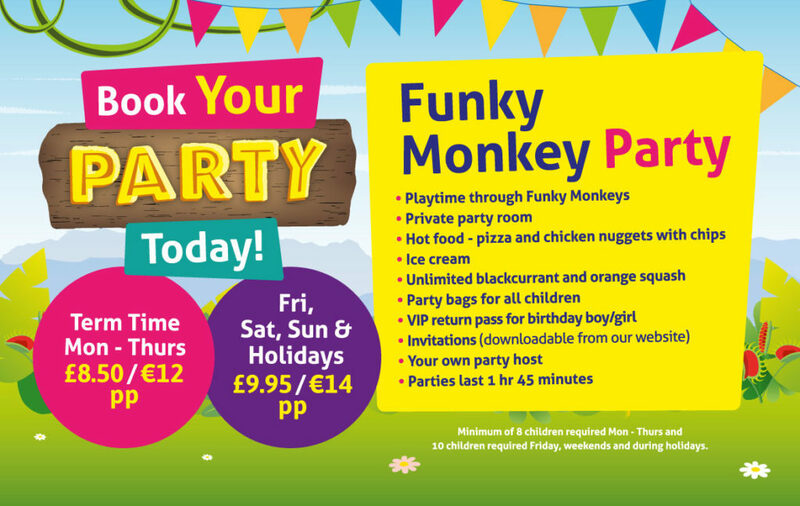 Funky Monkeys welcome you to the jungle of fun activities in our indoor soft play centre. Let your imagination run wild when visiting funky Suzie at her house, racing the ride-ons at Mikey’s garage, shopping for fresh play food at the village shop or crawling around the baby nest. 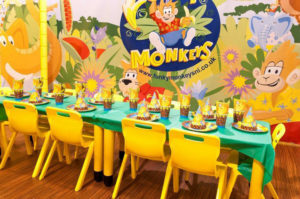 Funky Monkeys also love to host your kids/childrens birthday parties, and you will always find something exciting to do in our daily activity programmes. Get the kids active, creative and excited. Then recharge or relax with a fresh bite from our delicious healthy eating on-site cafe. 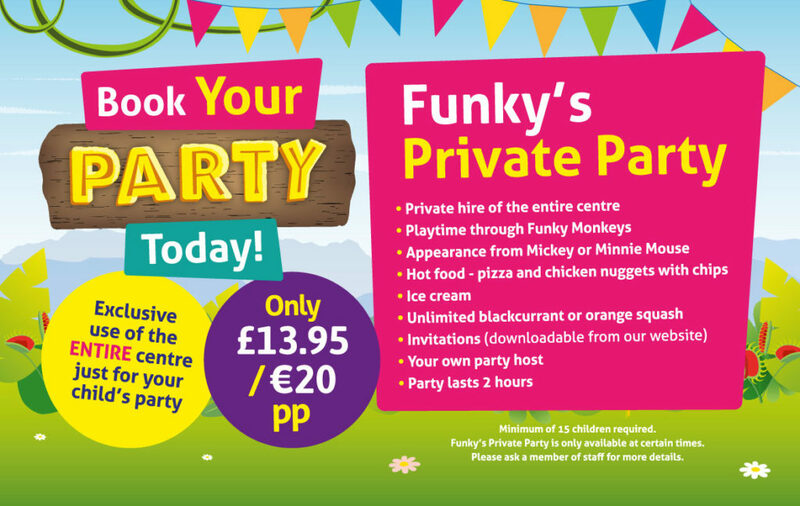 Enjoy fun, family playtime at our Funky Monkeys indoor soft play centres located throughout the UK & Ireland. Come and explore our soft play area, our jungle kingdom including: Suzie’s jungle house, the jungle village shop, Mikey’s safari garage, our delicious on-site cafe, party rooms and daily activity programmes. 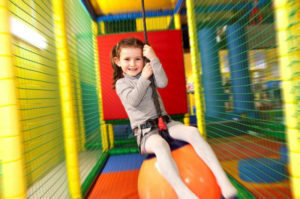 Our aim is to provide a fun, active, inspiring and family friendly centre for children up to the age of eight to let their imaginations run wild! So come and join us for some climbing, playing, creating, partying and relaxing, for all the family to enjoy.